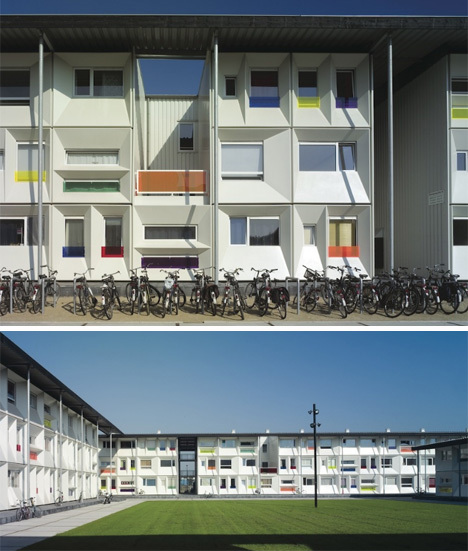 This student housing development was designed and built by Bij Hvdn Architects within 12 months. The quick-build project houses 1000 students, and each unit contains its own kitchen. The container homes feature six unique facades, each repeated in a seemingly random pattern to add a bit of whimsy and visual interest to the shipping containers.